The other day i saw a women in the supermarket with her toddler. Everything was normal until they reached the “toy area”. What followed was tantrums and outbursts which were difficult to control.The lady was nearly reduced to tears and had to leave as she could not continue the shopping. 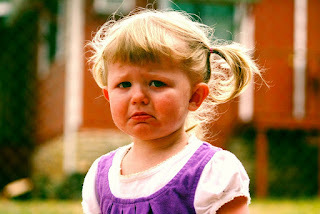 No doubt, toddler tantrums and outbursts are among the biggest challenges which parents face. They are hard to predict, understand or prevent. Specially first time parents are totally clueless and don’t know how to respond. It is not the parents fault. Be kind to yourself and don’t be guilt ridden.Mostly this is a developmental phase which should go away sooner or later.